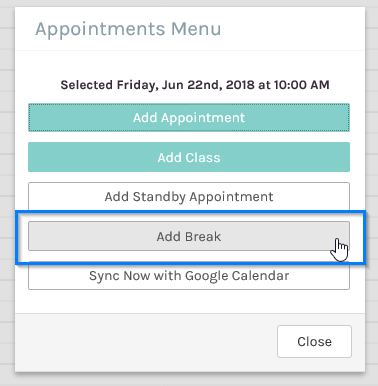 You can add staff breaks such as morning and afternoon tea breaks via the Appointment screen. Select Appointments from the side menu. Click on the time you wish to add a break to as shown below. This will prompt the Appointments Menu pop up to appear. Click Add Break. The Appointment Break screen will appear. Here you can enter Break Details and Break Type. The selected staff will appear in the Staff field. Select the Start time and Length of time for the break, for example 2.30PM for 15 minutes. 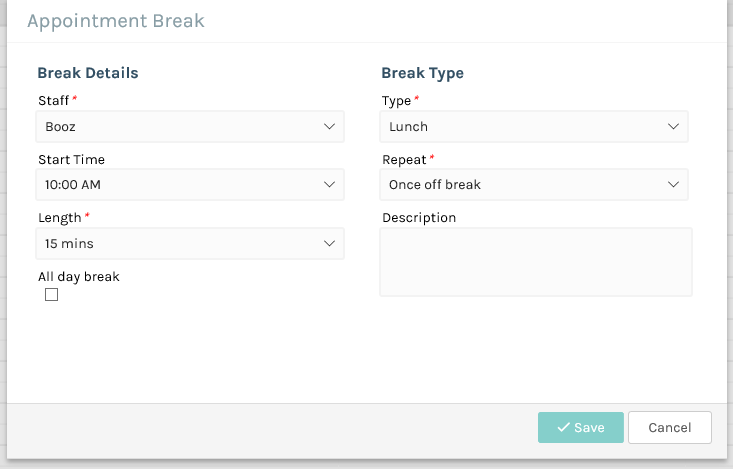 Select the relevant break type from the Type dropdown. You can also Repeat this break every day or every week. Enter in a Description, for example Tea Break. Then click the Save button. 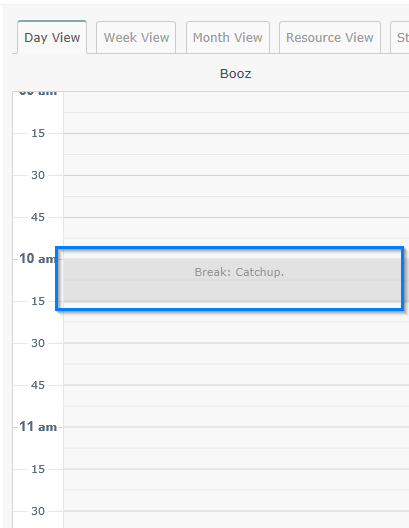 Once saved, the staff break will appear on the calendar as shown below. 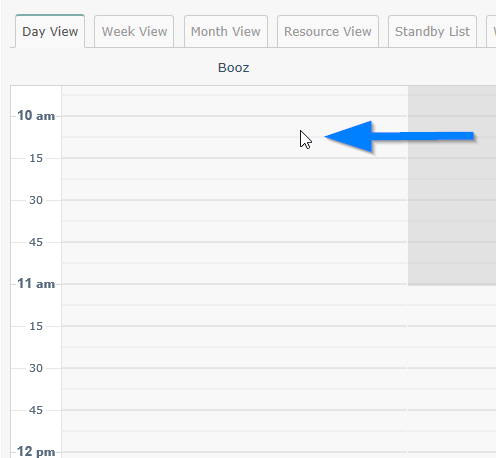 Once your working hours have been set, you can start adding your appointments!